Bengaluru, April 17: For the first time ever, Indian scientists have formulated an Ayurvedic drug to cure Dengue; the medicine is likely to be available in the market by next year. 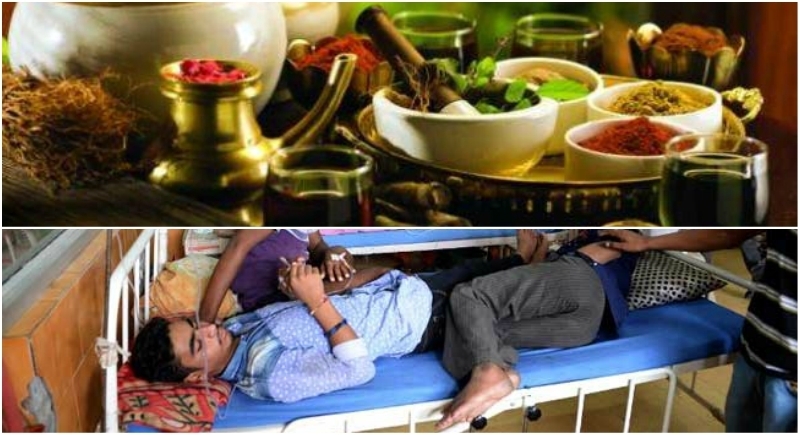 The Central Council for Research in Ayurvedic Sciences (CCRAS), an autonomous body under the Ministry of AYUSH and ICMR's, Regional Research Centre in Belgaum in Karnataka, have already conducted pilot studies which have proved the clinical safety and efficacy of the drug. According to Professor Vaidya KS Dhiman, Director General of CCRAS, the Double-Blind Placebo-Controlled Clinical Trial, which is a medical study involving human participants and is an internationally accepted method of testing, is going on in the medical colleges of Belgaum and Kolar. This drug has been made with seven herbal ingredients which are in use in Ayurveda system of medicine since centuries, Dhiman said. Dengue is emerging as a major health problem in tropical countries and is drawing the attention of government and all health agencies due to its fatality and limitations of treatment in conventional system, Dhiman said. As such there is no direct references and description regarding dengue in Ayurveda and Siddha literatures. "We started working on making this drug in 2015 and in the process pilot studies were conducted in Medanta Hospital, Gurgaon, and in the medical colleges of Belgaum and Kolar which proved the clinical safety and efficacy of this drug in the management and treatment of dengue. We had prepared the drug by June last year," Dhiman said. During the pilot study 90 patients were given this drug in highly concentrated liquid form. But in the ongoing clinical trial, the drug is given in tablet form. Dengue is caused by the aedes aegypti mosquito which breeds in clean water. The symptoms of dengue include high fever, joint pains, headache, nausea, vomiting, dip in blood pressure along with a characteristic skin rash. Though the fever does not last beyond a week, in some cases there is severe drop in the level of platelets which turn fatal. At present, there is no specific drug or antibiotic to treat dengue and the treatment focuses on providing relief from the symptoms. Rest and fluid intake for adequate hydration is important. According to WHO, dengue is the fastest growing mosquito-borne disease across the world today, causing nearly 400 million infections every year. India in 2017 has seen 15, 7220 cases of dengue and 250 deaths due to the disease (till December 24), as per the National Vector Borne Disease Control Programme (NVBDCP) data. In 2016, the country registered 129166 cases and 245 deaths.